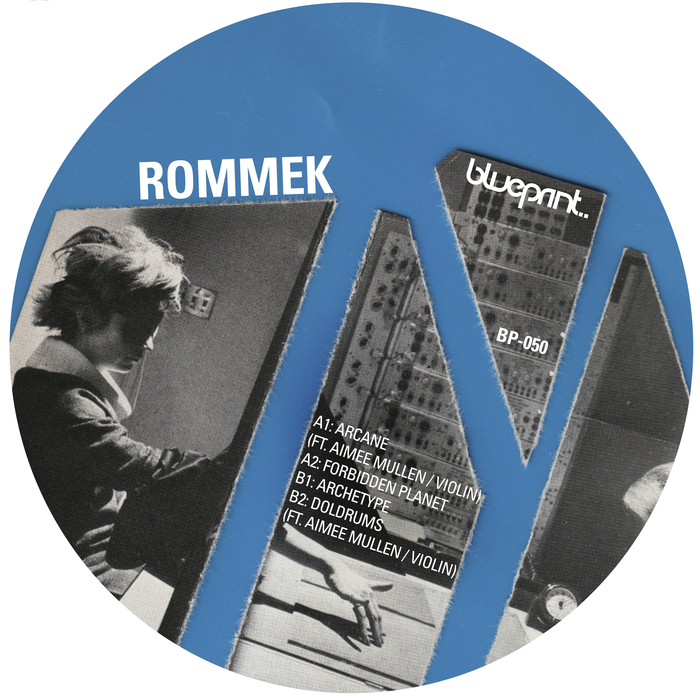 Rommek previously released on Sonntag Morgen and Weekend Circuit, and doesn't disappoint on this, his first release on James Ruskin's label. Combining atmospheric textures with robust broken beats and tough kicks throughout, on "Forbidden Planet", Rommek ventures into the kind of territory that the Blueprint boss himself normally inhabits. There, eerie bleeps unfold over mesmerising percussion and cavernous off beats. "Arcane" is even more utilitarian and sees the upcoming producer lay down a full on, hammering industrial workout, albeit with some atmospheric textures playing away in the background. "Archetype" is just as intense, but for different reasons; a muscular, predatory bass weaves and insinuates itself over a stepping rhythm and bleak soundscapes. Rounding off this impressive EP is the eerie, broken down "Doldrums".